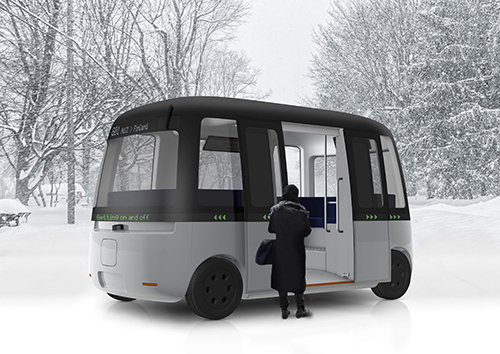 Muji and Sensible 4 have combined their expertise to create an elegant robotbus, first in the world to function in all weather conditions. For this shuttle Sensible 4 provides the autonomous driving technology and MUJI provides the vehicle its famous design and user experience. The vehicle will be displayed to public in its premiere March 2019 in Helsinki.